Walter Neal Pruitt was born October 14, 1942 in LaGrange, Georgia to the late Grace Prince Pruitt Adams and Benny Walton Pruitt. Growing up, Walter always showed an interest and knack for mechanical items, which developed into not only a hobby but allowed him to make a living. After high school, Mr. Pruitt joined the United States Army and served his Country with honor. During his military career, he spent over a year stationed in Germany. Upon his discharge from the military, he began his career and worked as mechanic for Trackmobile in LaGrange. In his spare time, he was passionate about fixing up old cars and tinkering with other mechanical items. He did a lot of swapping and trading for different items over the years. When he was tinkering, Mr. Walter enjoyed spending time in the woods hunting or on the lake with a pole in hand. Mr. Walter was a simple man and enjoyed the small things in life. 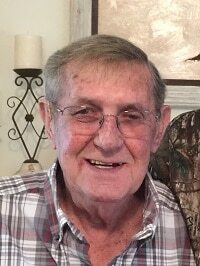 Mr. Walter Neal Pruitt, 75, of LaGrange, Georgia passed away on Sunday, August 5, 2018 at his home. He is preceded in death by his parents and sister, Ruby Clifford.survivors include his son, Keith (Michele) Hancock of LaGrange, Georgia; step-son, Mark (Debbie) Berry of North Carolina; brother, Mike Pruitt of LaGrange, Georgia; four grandchildren and two great-grandchildren; and numerous extended family members. The Pruitt Family is being assisted by Georgia Cremation, 7500 Veterans Parkway, Suite A, Columbus, Georgia 31909, 706-577-0055, www.georgiacremation.com. The family invites you to leave a condolence or share a fond memory below. I was a classmate of Walter’s and send my sympathy to the family and am sorry for your loss. We were neighbors to Walter. He was a dear friend. We will miss his horn as he drives by. His smile, his laugh and sweet spirit.